The Delta Children LX Side by Side earned a 3rd place rank in our review of 10 double umbrella products and won a Best Value award. This stroller is very light weight, small when folded, easy to lift, and fits in most small spaces. While it lacks a storage bin and deep recline, it is tough to beat the lower price and identical seating offered by this side-by-side option. The Delta earned the second highest score for maneuverability, and top score for weight and folded size, two metrics that play critical roles in a secondary travel stroller. This stroller is unlikely to suit all your needs given its lower quality and ease of use scores, but if you're looking for a budget-friendly option for a travels stroller for two, then the Delta is tough to beat. Alternatively, if you have a little more money to spend, the ZOE XL2 BEST v2 costs about $120 more, has larger canopies and under seat storage, deeper recline, and a higher ease of use score than the Delta. Louis Shamie Sr. founded Delta Children in 1968 as a new parent. The Shamie family continue their father and grandfather's vision of offering products at prices families can afford. Along with their own line of children's furniture and baby gear, they own Simmons kids, and license many characters. 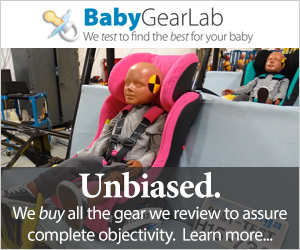 The Delta team works closely with Juvenile Products Manufacturers Association (JPMA) and American Society for Testing and Materials (ASTM) to create industry standards to ensure the production of safe children's gear. The Delta earned a 9 of 10 for weight and folded size. This stroller weighs 18.5 lbs and is 8,211 cubic inches when folded. This makes it the smallest folded stroller and the second lightest option, with only the ZOE XL2 BEST v2 weighing less at 17.8 lbs. If you need an easy to carry option that can fit where other doubles might not, then the Delta is a good choice. The delta has a small easy to stow folded size. The Delta earned a 3 of 10 for ease of use, the lowest score in the group. Ease of use is a metric that will impact your everyday experience using a stroller, both for passengers and pushes. unlocking the Delta frame to fold requires shifting a very stiff and unfriendly lever with your foot. Folding this stroller is difficult with a red unlock tab that is foot initiated and hard to use. Pushing the handles forward then collapses the product with a manual fold lock (though it is advertised as auto-locking). Unfortunately, when you push the stroller down, the lock goes past the connection point and you'll need to attach the clip manually. The clip is really stiff to lock and unlock. It would be considered a one-handed fold, if the lock mechanism was easier to use. The delta brakes would be nicer if they were single action with only one pedal to engage. The Delta brakes are stiff and hard to release. These are definitely not sandal foot friendly with rough edges on the underside of the plastic. They are somewhat easier to set, but it would have been better if they were single action brakes with only one pedal to press as opposed to two. We worry parents will forget or become complacent over time about setting both pedals. The Delta does not have the standard under seat storage bin, but instead relies on pockets on the back of the frame (above left) and on the back of the canopies (above right). The canopy pockets have a Velcro closure, but the frame pockets are mesh with elastic tops. The frame pockets each hold 3.3 lbs and it offers a parent cup holder as well. The Delta canopies are small and do not offer much protection from the elements. These sun shades offer the bare minimum of coverage from the sun and likely will only work when the sun is at high noon. They are the smallest shades in the group, and even though they rotate forward they are too small to really block out any sun from any angle, you can forget other elements like wind and rain. In addition, if you pull them forward the back flap with the pocket attached will be on baby's head. They do not have a peek-a-boo window, but are too small to need them anyway. The Delta buckle is easy to use and the straps are easy to adjust, though you may need to remove the padding for smaller passengers. The Delta has 5-point harnesses in each seat. This stroller has double rethread buckles that can be more difficult to adjust then one thread, but the harness itself is easier to use than others. However, if a smaller harness is needed, you'll need to remove the shoulder pads to make it small enough. The Delta has a shallow recline and no leg rests. The Delta does not offer leg rests, but instead has a strap of fabric across the frame for legs to rest on. The seat backs recline, but not far enough for truly cozy napping. The adjustment for the recline is sort of odd and difficult to maneuver, but it does have an all or nothing feature that is easier to operate. Given how little it reclines to begin with, it seems easier to just fully recline the seats. The backs themselves feel flimsy and flex in a way we suspect they shouldn't. The Delta took us just under 3 minutes to assemble. It has an average manual and no tools are required to put it together. The Delta earned a 4 of 10 for maneuverability. None of the lightweight double options were very easy to push, and as a result none score over a 5 for this metric. So while 4 is a low score, it is the second best in this review. The Delta has dual front wheels on three legs with a total of 6 wheels altogether. This causes problems when it comes time to pushing and turning with wheels that veer off course on their own. This stroller is narrower than some, but it still has trouble in tight spaces where the cup holder catches if the wheels don't. You will not be able to push this stroller one-handed, and the handles flex with weight in the seats. The Delta manages flat ground well with no real problems getting it going or difficulty pushing, but moving on uneven terrain is more difficult, and you won't want to take it on grass or gravel very often. Turning is more difficult and takes some advanced preparation, but it isn't impossible and is smoother than some of the more expensive competition. The dual wheels on the Delta can be pulled off course if the road is rough or they come close to floorboards. The Delta only has front wheel suspension, and the seat bottoms are fairly stiff with the back being flimsy; with very little recline we think this stroller won't be comfortable for passengers on long trips. The handles are foam covered and feel good at first, but the shorter height may cause discomfort for taller pushers as they will be hunched over most of the time while pushing. Everything on the Delta is soft of flimsy and misshapen. The Delta earned a 3 of 10 for quality. With a list price of $100 this stroller is about what you would expect for the price. This stroller has a basic frame with round tubing and exposed fasteners. The fabric has a slick plastic feel and there is very little padding with weak elastic on the pockets. The plastic wheels are smaller and cheaper than most. Altogether the Delta has cheaper materials that come together in a somewhat sloppy configuration that still gets the job done, but is unlikely to impress.